About a month ago, one of my friends, Kim, texted me about making #teamwill bracelets She was willing to design/ order/ coordinate the entire process and wanted to donate the proceeds to Be the Match in Will's name. I thought it was a wonderful idea! Not only is it a great way to raise donation money but it is a visual and a conversation starter. The national registry would not be around if it weren't for spreading the word and raising awareness. Without awareness of the need for bone marrow donors, no one would ever join the registry! 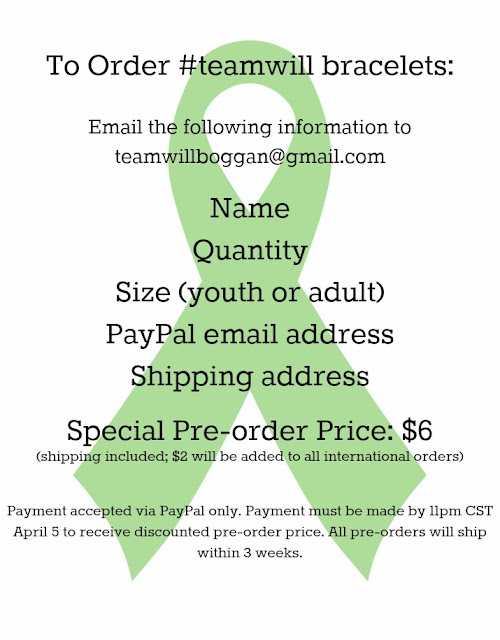 We do not have a sample in yet but, the bracelets will be kelly green (the color for bone marrow transplant) debossed wristbands that say #teamwill on one side and Strength in numbers on the other. Kim and I were trying to come up with what we wanted to put on the bracelets and one night "strength in numbers" popped into her head. She thought it was fitting for two reasons - 1) Will is being supported, loved, and lifted up by so many people. He is strong because of the mass of people supporting him. 2) After Will receives his cells, he will literally get stronger every day as his blood counts increase, signaling that his donor cells are taking over and multiplying in his body! It is just too perfect! So thankful I have creative friends! After mentioning the bracelets on Facebook and InstaGram, Kim and I thought it would be fun to do a special pre-order event! I am so excited about this! Excited to see the support my precious boy receives. Excited to raise money for a cause that is obviously extremely dear to me. Excited to spread bone marrow transplant awareness! 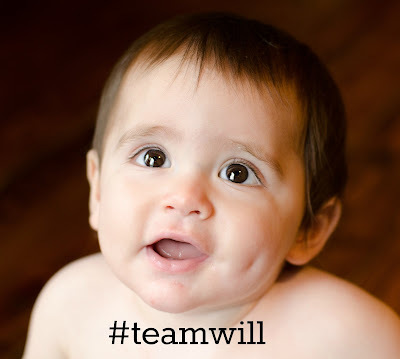 A huge thank you to each and every one of you that place an order and support #teamwill! And a big thank you to Kim for heading this up! I am so blessed to have amazing friends that want to support my kids, support their fight, and support this cause that saves lives! Email sent. My family will be supporting yours through this process, and praying along the way.